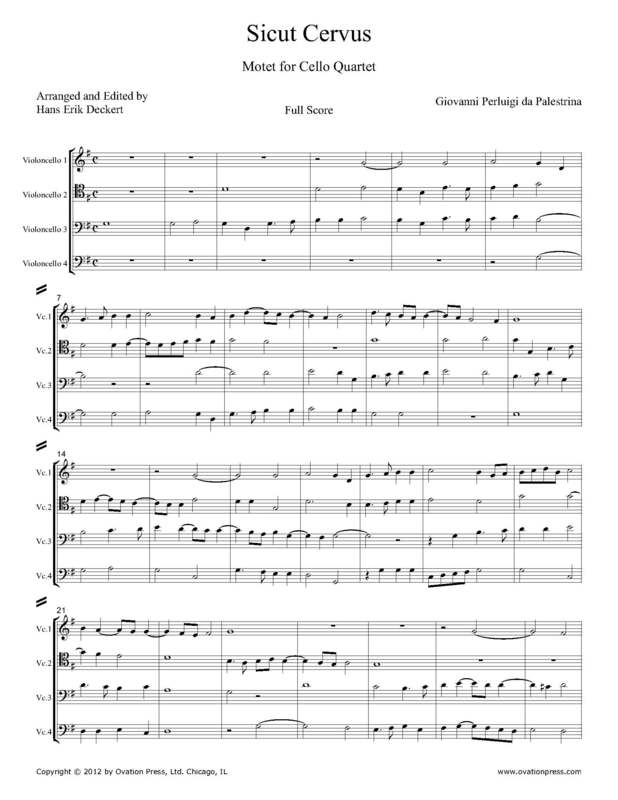 Palestrina's Sicut Cervus, perhaps his most famous work for choir, is presented here for the first time in an arrangement for cello quartet. This composer's polyphonic writing is the basis for counterpoint studies worldwide. The melodic, rhythmic, and harmonic elements are all unified with a beautiful and rare sense of balance. The Danish writer Knud Hjortø describes Palestrina’s music as an afterglow from Paradise. This sacred music from the Renaissance is now available to modern cellists. It will be their job to assimilate the inner meaning and the inner power of this prayer. This arrangement is in the original key. The text of this song is from Psalm 42:1.